I have been a longtime fan of Marian from Miss Mustard Seed. She's not only creative and hard working, but totally down to earth and humble. She has recently released her very own book, and she would like to give away 3 copies here on my sweet savannah! According to Marian, design should both transform and inspire. With a lot of creativity and a little bit of effort you can transform your home into the beautiful space you have always dreamed of, without breaking the bank. Her debut book, INSPIRED YOU (Thomas Nelson, November 6, 2012, $19.99), details her exploration of the DIY world while reminding us that homes don’t have to look like a magazine ad to be beautiful and functional; beautiful homes start with an inspiration spirit and a willingness to try. Beautiful photographs, inspirational anecdotes and dozens of delightful doable ideas encourage women to run from the demanding cycle of everyday life and use their unique talents in their homes. The day my copy came in the mail, I grabbed a cup of coffee and sat down for an hour to devour every single page. After reading it, I loved her even more. You will be so inspired after reading this book! I will pick 3 winners via random.org and announce back here on Friday. In other news, Souvenir's holiday issue came out today! Oh my goodness, it's a good one! Make sure you go here to get your own if you haven't already. I love Miss Mustard Seed's style. What a great giveaway. Thanks for the chance to have this book. Love Miss Mustard Seed - and would LOVE her book! I would love to win a copy of her book! This book looks wonderful! I would love to win it! I would be honored to win one of her books. She truly is inspiring. And thank you for hosting! Oh how I would love this book! Thanks for the chance to win! She inspires me each and every day.. Sounds like a great book! I'd love to win one of the copies!! I just ordered the new Souvenir, can't wait! I would love to Win Miss Mustard Seed Giveaway for sure! I bet it's fabulous. I always check-out Miss Mustard Seed blog, love everything she does. Would be very happy to win a coy of her book. I would love to be able to give this to my sis!! what a great looking book. I would love the chance to browse through it. I would love to win this book. Miss Mustard Seed's blog is one of my favorite blogs. She's amazing. Ohhh--how I would LOVE to do the same--grab a cup of coffee and sit down with this book! :) Especially on a gray/rainy day like we are having today in the PNW. I have heard such great things about this book! As I've been following her blog for so long, I feel like I know her! Thanks for a great giveaway, Melaine! I'm ready! I would LOVE to win one and start reading this book! My favorite thing to do is curl up with a cup of coffee, my fur throw and a good design book !! Hope I win !! Thanks ! I love her style. Also admire her for doing what she loves while making it successful. I'm a big fan of her as well. I would love a copy. What a talented and gracious lady she is. I LOVE Marian as well! Her blog is so inspiring and I hope to WIN a copy of her new book! What a coincidence, I was just looking at her online tutorial on making the no sew ruffled tree skirt! Marian's blog was one of my first blog obsessions ;) Thanks for the giveaway! I would LOVE the opportunity to win a copy of the book!! Thanks and I LOVE your style!! It's inspiring ..
Love to win the book!!! great giveaway! Can only imagine the beauty behind the cover of this book! Miss Mustard Seed is truly an inspiration... will love to win this and salivate! Please count me in. Her book looks wonderful! I love Miss Mustard Seed and I'm glad to see her becoming ever-more successful! I would LOVE a copy! It looks so beautiful and uplifting. Thanks for the giveaway! Wow! I would love this book. I really enjoy her blog and have used many of her ideas. I have been following MMS too. I would love to try her milk paint but just got adjusted to using ASCP. I would like an opportunity to win her book and read more about her. I love Miss Mustard Seed, her blog and your blog are the 2 first I check each morning! Thanks for the chance to win these books. It looks awesome! I really need her book to get me jump started on several projects before the holidays! Thanks for the chance! Okay, I admit it...love her! Never enter these...but I'm gonna this time. Would love a copy of the book! Thank you for the giveaway! She is my blog idol ! I would love a copy of her book ! She has great taste! I bet the book is wonderful! Thanks for the opportunity. I love how you are so giving. I would love to win so I could pass on also. Seed's book. Thanks for the great opportunity to win. Love her new book I have heard so much about it. Looks like a lovely, inspiring book! After 26 years of marriage and 5 kids later, I am now trying to develop my style. Would love to win a copy of her book to help me on my journey. I would love to have a chance to win Marian's book! Thank you both for the chance! I have subscribed to Souvineer since issue one! It's brilliant! I have been wanting this book. Would love to win a copy to break through a platue in my own home. I have been an avid follower of Marian and have always looked forword to reading her blog. She is amazing in every sense of the word! Would love to get a copy of her book! I lvoe Miss Mustard and follow the blog. Great giveaway! Great giveaway! I love her style and the book looks fantastic. Miss Mustard Seed ia Fantastic!!! Would Love to win her book!!!! I love her blog! I'd love to win a copy! I would love to have Miss Mustard Seed's new book!! What a treat tht would be. throw my name in too! i love marian! Fun! I love Marian's style and her sweet honest spirit. I would LOVE to win a copy. Just discovered Miss Mustard Seed recently. Charming book. Would love to own it. I love MMS and would enjoy her book so much! Another thing I love...your blog! I always get tons of inspiration for decor! Thanks for being awesome! Love Marian's work and the ideas and techniques she shares! I have had the pleasure of sitting down and talking with Marian...would love her book! Thanks for the chance to win a copy of this book, I will keep my fingers crossed! Thanks for the great giveaway! I love Miss Mustard Seed and I am so thrilled she is now a published author:) I'd love to win a copy! I am almost as excited for Marian's book as I am for YOURS! I would love to drool over your home decor and keep it on my shelf for inspiration. ;) Which publisher do I need to stalk to make that happen? Until that day, I would be equally pleased to devour MMS's book and be inspired. Thanks for the giveaway... PICK ME, PICK ME! love miss mustard seed. thanks for the fun! I so Love Miss Mustard Seed. I love Miss Mustard Seed and would love to win! I started following her blog thru you. I am now addicted to both of the blogs:) Thank you so much for offering this amazing giveaway!I would LOVE to receive a copy of her book. Thank you again for all of your beautiful posts. You are very inspiring! You, Miss Mustard Seed and a few other blogs are my Favorites and have been for years. I hope I win one of these books! I love her too! I had no idea she had a book out until I stumbled upon your post. love your blog too! I Love Miss Mustard Seed!Crossing my fingers! I would love to get this book! I love her blog, so I'm sure the book would be totally inspiring and helpful! love her to pieces too! Would love to win this book! Love MMS's style and yours! I love her as well! I have even wanting to get her book! Thanks for the chance to win! The cover alone is beautiful! Thank you for letting us have a chance to win. I have been following Miss Mustard Seed for awhile now! Can't wait to try her Milk Paint! What a lovely giveaway. I would love to have this book in my collection. This book sounds wonderful. Thanks for including me in the chances to win. Since I haven't purchased a copy of Marian's book yet I would be delighted to win one! Oh! How exciting! Yes, Miss Mustard Seed is truly inspiring - she makes DYI and re-purposing look so easy. Love, love her style! I would love to own a copy of MIss Mustard Seed's book! I have been inspired a great deal by both of you women! I love Miss Mustard Seed, and was just in Gettysburg last weekend and was so tempted to stalk her. Would love to have her book!!! Crossing my fingers for this lovely jewel. I feel a little rush of heat to my neck whenever she would talk about writing it and say the word "deadline"..... Whoosh I bet she's glad this baby is done! I bet it is ammmmmaaazzzzing!! 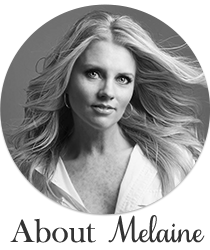 Cheers and thanks Melaine - it's like a 2 for 1 deal when I see my fave bloggers supporting eachother! I love Miss Mustard Seed. I follow her blog too. I would love to have her book!!! I love Marian, too and her down to earth style. She is an inspiration on many levels! Would love to read Miss Mustard Seed's book. Would love this wonderful book to curl up with! I would love to win this book!! Pick me!! I would love to win her book. She is super talented. Love her ideas, blog, and everything she does. Would love to go to Lucketts and get a book autographed. Thanks for the chance to win! I love her website and would love to win her book! Love her...can't wait to read the book! Love her blog! Great giveaway! I would be honored to win Marian's book. She is such an inspiration to all of us! It looks like a beautiful book. I follow Miss Mustard Seed and love her paint, she is an inspiration. Have just recently discovered Miss Mustard Seed and love , love , love! Really hope I win a book, definitely need some inspiration in my life right now! I really want to read this book! (Just discovered Miss Mustard Seed) The book looks so beautiful! 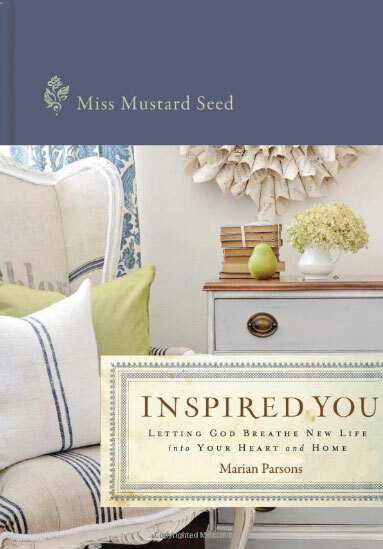 I LOVE Miss Mustard Seed - her style, how she encourages others, and I can't wait to read her book - would LOVE to win it! Thanks for the giveaway - love Miss Mustard Seed. I would LOVE to win! I can't wait to order my copy! She is wonderful and such an inspiration! Love Miss Mustard Seed and everyhing she does. Would love to win. I appreciate and love your blog. Thank you. Miss Mustard Seed is awesome and her book looks amazing!! Thanks for the giveaway! Blessings. Love her decorating style and her blog - she just seems so down-to-earth. Would love to win a copy of her book! Thank you! Love Miss Mustard Seed! What a great giveaway...would love to win it. Thank you! I would love a copy of Marian's new book! I bet she is so sweet in person. She inspires me with everything she shows on her blog. I'll be going to her blog when I start my furniture projects, Thanks!!! Oh, this is a great giveaway! Thanks for the opportunity! Merry Z.
have followed Miss Mustard Seed for a long time and thankfully came across your blog a couple of weeks ago .. win, win for me!! Big fan of Miss Mustard Seed and more recently a fan of My Sweet Savannah!! I'm a HUGE fan of Miss Mustard Seed and actually grew up in a teeny, tiny little town right next to her teeny, tiny little town. I would LOVE a book! Would love to win a copy of the book! Thanks for the chance! I love Marian's style and am so pleased for her success. I would love to win a copy of her book. Thanks for sharing this giveaway! Very nice giveaway, thank you for the opportunity. I love the title of the book and its cover is beautiful. I imagine that the inside pages are just as beautiful and full of inspiration. Thank you! Your book looks wonderful! !I would love to own it! Just finished a dresser in tricycle red today and I love it! This book is on my wish list for Christmas. What a talented and gracious lady MMS is. I love the furniture that Miss Mustard Seed paints! It is so beautiful! I would love to have a copy of her book! Miss Mustard Seed is so inspiring! You're spot on about Miss Mustard Seed. So inspiring! I would love to have her book. Thank you for the chance! 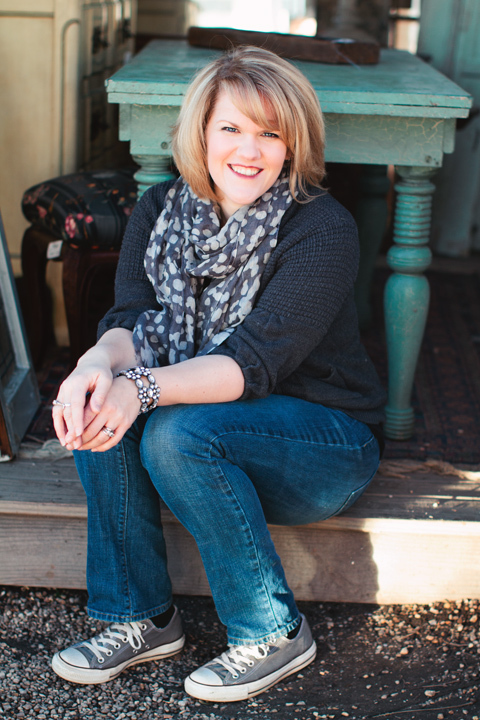 I just love, love her blog and would be thrilled to win a copy of her book! Thanks for the chance Melaine. I would love this book. Thanks to you, I was introduced to her blog. Love her work! Oh I too am excited about this book. It's exciting to see women using the talents of design God gives them to open doors to share Jesus'love and grace and hope and tender care. Wow!Great Giveaway. Would love to win her book. I would love to win a copy of her book! Pick me! Pick me! I would love a copy of Miss Mustard Seeds book. Just like everyone else, I would l o v e to win a copy of this book. Let's just say it could be an early Christmas present!! Miss Mustard Seed is a constant source of inspiration, would love the opportunity to win a book! I need something to "take me away" from it all! I have loved MMS for quite a while and I think this book is going to be a wonderful inspiration. Please pick me!! LOve Ms. Mustard Seed. Dieing to read her book. holidaywithmary at comcast dot net. I love your blog AND I love Miss Mustard Seed. Would love to own her book. Such great ideas in it as seen on Amazon. Thanks for offering this giveaway. I really love Miss Mustard Seed. I also read your blog all the time!Great Ideas from you both! Thank you for the giveaway! Hope I win! I love Marian's style and a copy of her book would be fabulous!! Thanks for the giveaway! I have been following Miss Mustard Seed forever! I would love to win her book! Wow! I would love to get a copy of MMS's book! LOve, love, love Miss Mustard Seed!! I would love to win a copy of her book. I would love to win a copy of her book....I have been following her blog for years. Oh my!! I am just drooling over the chance to win one of Miss Mustard Seed's book!!! !